Nei Gong is a transformative system of alchemical energy work; working with the body, breath and mind to awaken spontaneity, change and deeper self expression. 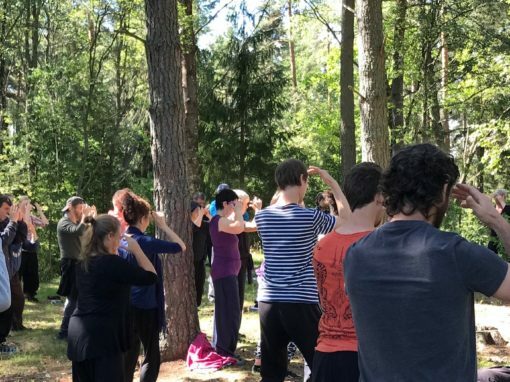 To initiate and support this process we use a variety of tools: Body-work and conditioning, theory, meditation, Qi Gong and its forms, Dao Yin (guiding and leading) and direct transmission are all used to facilitate this journey. In this way the traditional system of Nei Gong is passed on to future generations. 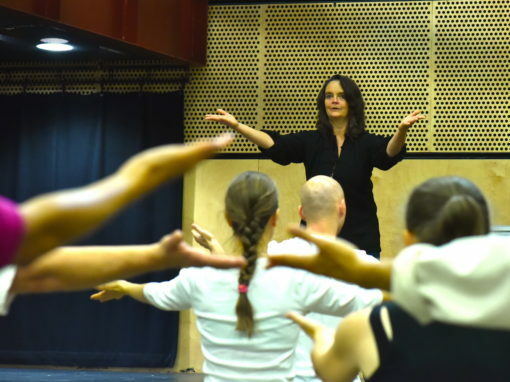 Our aim is to teach these methods in the clearest way possible so all can understand whilst at the same time remaining true to the arts’ roots. The fundamentals of the Nei Gong process involve working diligently with the physical body, regulating the breath, awakening the energy body and purging toxins from the mind and body. The body’s joints need be to opened and conditioned to allow the increased energy to pass through efficiently; this energy is the result of going through a process of ‘waking up’ and circulating the Qi. The breath must be regulated to soften the rhythm of movement of Qi through the system, and increasingly tensions in the mind and heart need to be shed. 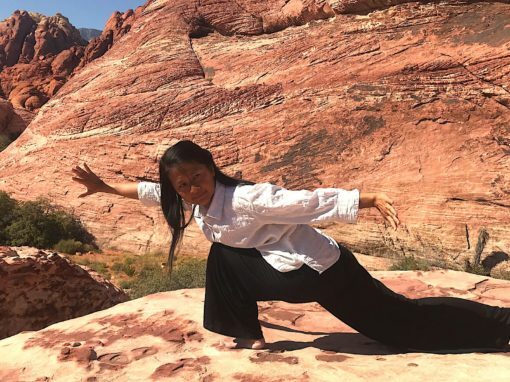 To do this we use specific stretching exercises, standing postures, breath-work, Dao Yin (leading and guiding) forms, and foundation Qi Gong forms to balance the body’s channels. Great attention is given in classes and retreats to these fundamentals, which are often overlooked. 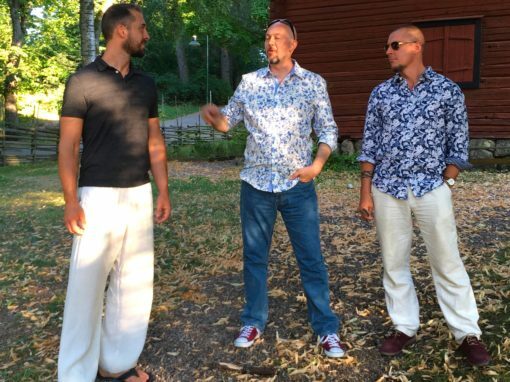 Learning to stand with correct alignments, the attention to the physical body, understanding and applying the process of Song (systematic release of tension physically, energetically and spiritually) and purging of stagnation from the system. Nei Gong is best suited for those adventurous in spirit, with a capacity for discipline, looking for internal transformation, and spiritual development. We are a school of clear and tangible results. There is no need to wonder if energy is moving, the signs are perfectly easy to see for yourself! 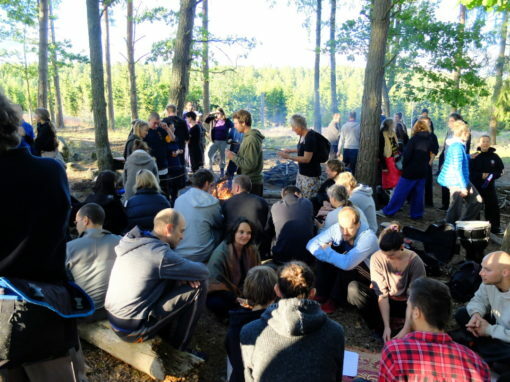 We train seriously but have a lot of fun in our classes and retreats – everyone soon learns to not take themselves to seriously, as we are all learning and releasing together! In order to understand Nei Gong it is important to understand that it is a process rather than a set of exercises. 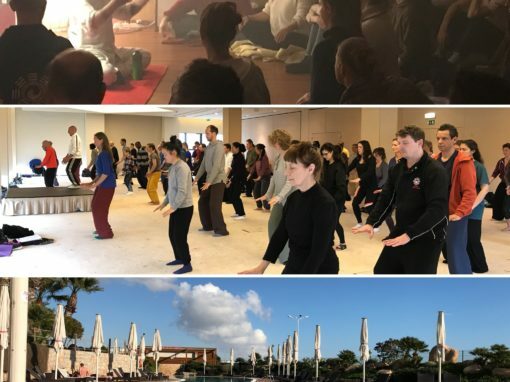 In order to move through this process we use various tools including Dao Yin and Qi Gong exercises but these are used simply to help guide students through the systematic refinement of internal ‘substances’ required to move towards connection with the congenital self and then ultimately Dao. Nei Gong is, at its core, connected to the philosophical process of creation as outlined within the Daoist tradition. 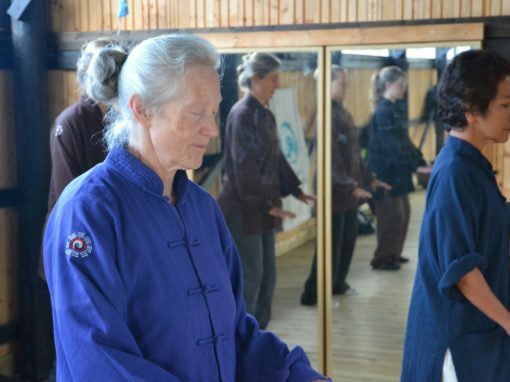 Through a study of this process we are able to more fully comprehend the true nature of Nei Gong training. 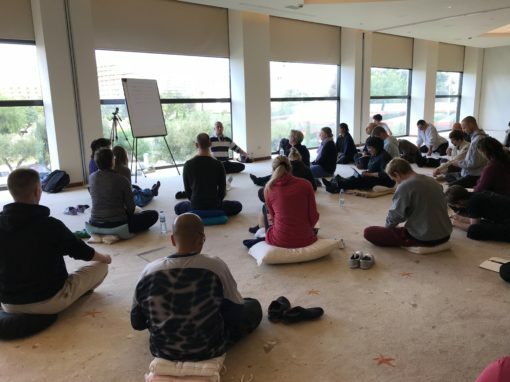 In Lotus Nei Gong, students spend time working through the Nei Gong process in order to prepare their energetic system and consciousness for the advanced practice of Nei Dan which is a meditative practice more commonly known as ‘Internal Alchemy’ in the west. 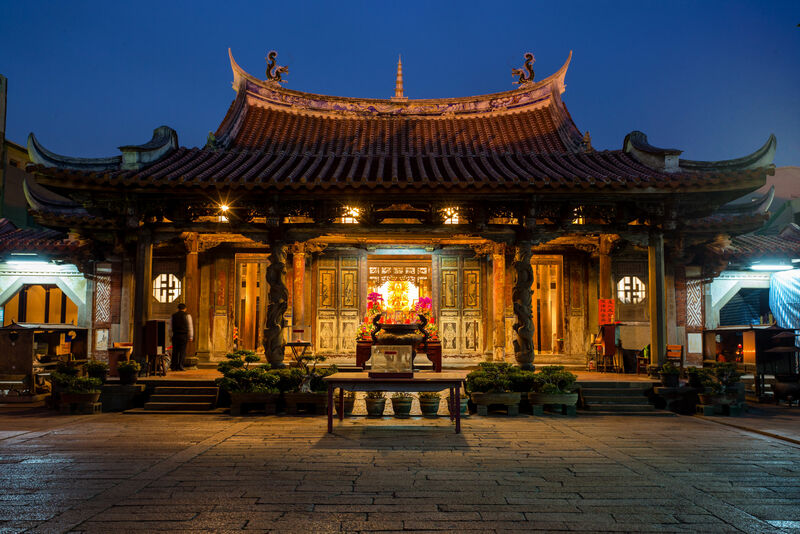 The process of development through Nei Dan can be difficult and very confusing for those new to the Daoist arts as many of its practices are discussed in arcane metaphorical language and secrecy has surrounded its practice for centuries. 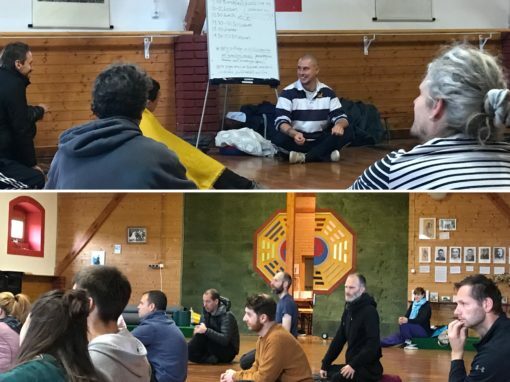 In order to help facilitate effective Nei Dan development students are first trained in Nei Gong in order to help them prepare for the sitting meditation of Daoism. The key to working through these processes effectively and efficiently is through ensuring that at each stage a sufficient foundation is built. First the physical body must be taken to as healthy a state as possible, then the energetic system must be awakened and cleared out, finally the mind must be centred. 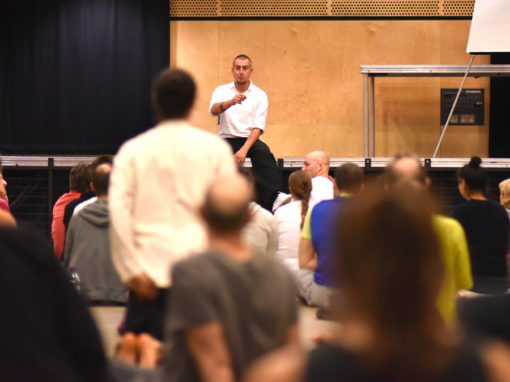 If a student moves systematically through these three stages then Daoist practices are not actually that difficult; they simply require dedication and sincerity. The process of working with these foundational stages is known as working with the three bodies of man. In 2018 Damo Mitchell wrote the book: A Comprehensive Guide to Daoist Nei Gong which was released through Singing Dragon. This book covers the basics and intermediate stages of Nei Gong training and gives an overview of the entire system. The internal methods taught within our school follow the process outlined in this book. 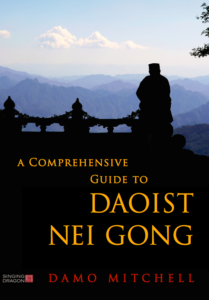 This book provides a breakdown of the entire Nei Gong process, and explains in plain English the philosophy which underpins Nei Gong training. Written by Damo Mitchell in 2018, Students within the school could consider this an in-depth handbook for their ongoing practice. Within our school we teach a number of different Qi Gong ‘sets’. These are taught in the usual manner of studying the external movements and then going deeper in order to understand exactly how the internal mechanics of each exercise work. What is most important though is that within the school we recognise that these exercises are simply tools. They are a set of tools we can use to change the body and our Qi in the way we wish it to be adjusted. The result of this is that we move deeper into the internal process of Nei Gong. It is the ‘process of internal change’ that we are most focused upon in our practice, not the exercises themselves. Studying Nei Gong is a step-by-step process with a very clear path of progression involved. It is important to have guidance on what you need to learn and what you need to do next. Understanding the path is the best way to move towards the destination. Those without a clear idea of where they are going or why they are practicing certain exercises are likely to become stuck in their development. The practice of Nei Gong is an intricate study but ultimately what it comes down to is a ‘method of learning how to ‘govern the Qi’. If we can do this then we learn how to direct our Qi according to four key words – purging, tonifiying, regulating and circulating. These are achieved through a systematic process of learning to contact and direct the Qi in the desired fashion. 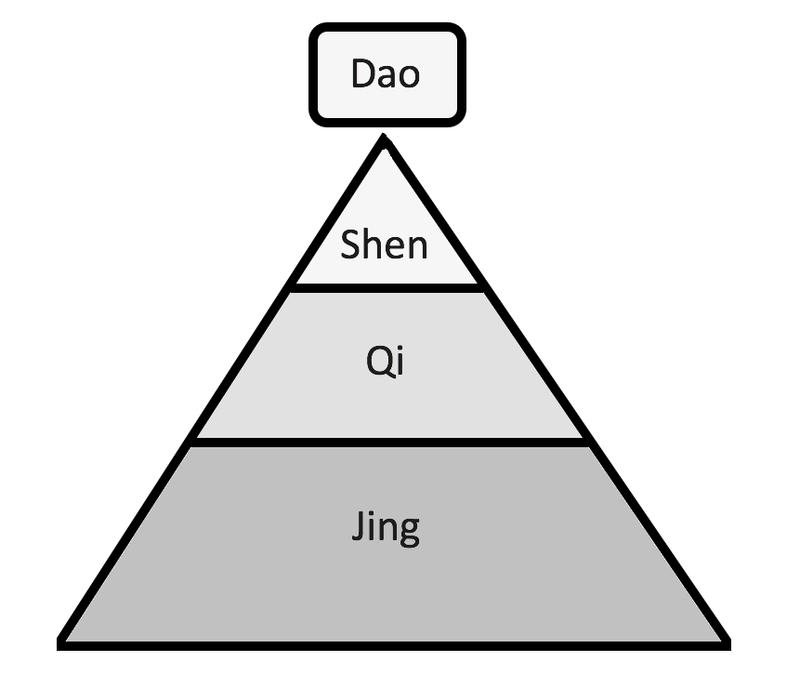 These are the foundations of Nei Gong which then serve to lead people towards the higher stages of practice which can either be medicinal (learning to emit and lead the Qi), spiritual (nourishing the spirit with the Qi) or martial (learning to control the body’s power and force emission through Qi). Throughout all of these stages of learning to control the inner environment of our energetic system we should ensure that the entire process is tangible and clear. Rather than simply being an abstract concept (as many falsely believe), governance of Qi through Nei Gong practice is a direct and experiential process. The foundation stages of the training involve firstly preparing the body for practice. As with any other practice, there is a certain amount of ‘practice-specific’ body conditioning that must be carried out. Nei Gong is no exception to this rule. If we have the ‘wrong body’, we cannot practice our art efficiently. Unlike western concepts of body conditioning, we don’t aim to increase the mass of connective muscles; rather, we connect the body’s internal structure together and open up its joints. 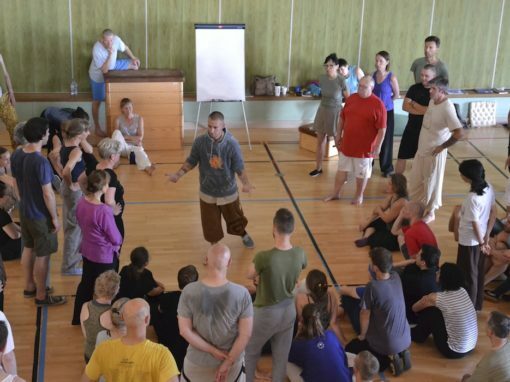 We then learn to centre our physical, mental and respiratory power onto the region of the lower Dan Tian and this in turn becomes an initiatory force for our practice. This is all learnt in the foundation stages of our school’s training. The basis of human existence according to Daoism is that we are defined by the quality and amount of three energetic substances known as Jing (essence), Qi (energy) and Shen (spirit). Though these are slightly inadequate translations of the terms (translations from Chinese to English are always tricky) they are good enough to help us develop a working understanding of the human mind/body system. The basis of the body’s constitutional health lay in its ‘blueprints’ – the Jing. Through development of the Dan Tian and Yin aspects of the body’s energetic functioning we consolidate the Jing and so develop a solid foundation of ‘good health’. 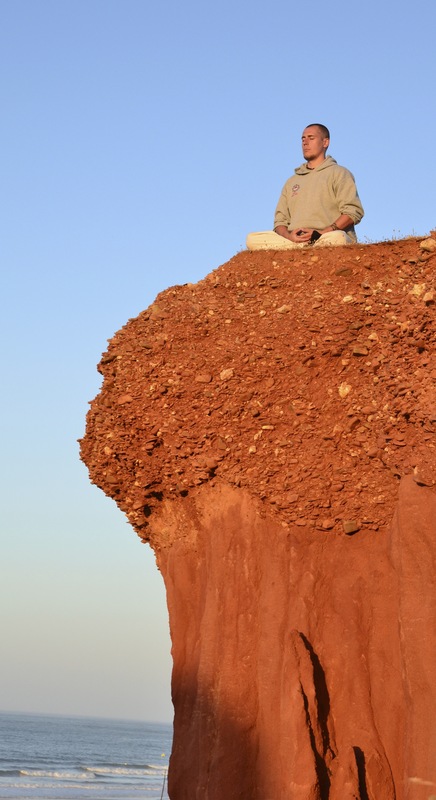 From here we use the base of the Jing to start training the Qi of the body. The Qi is ‘cleared’ of pathogenic factors and circulated before we start to increase the amount of Qi that the body can deal with. The final stage of training is for those interested in moving beyond health into spiritual development; at this level the aim is to nourish the Shen with the cultivated Qi of the body. This was classically understood as the alchemical process of moving towards Dao. The meditation system of the Daoists is known as Nei Dan or ‘internal alchemy’. Read more about the ‘sitting practices’ of Daoism. In order to move through the Nei Gong process we use a series of exercises as ‘tools’. 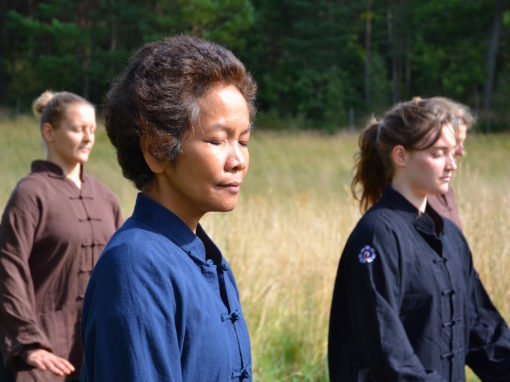 Through static and dynamic Qi Gong and Dao Yin training a person may awaken the various energies required for Nei Gong development. Below are some of the exercises taught within the Lotus Nei Gong school. 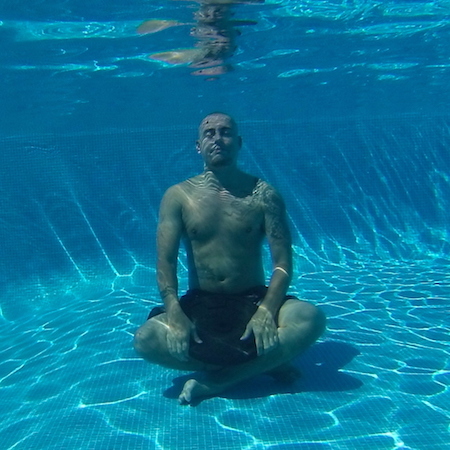 The process of breathing is a basic but very important aspect of our training. The Daoist approach to breathing is to link it with the process of releasing ever-increasing layers of tension. This tension can be physical, energetic or emotional. In all cases the tension is released from the body and this allows a practitioner to move deeper into an awareness of their own being. In the beginning a student learns to simply Song breathe throughout the entire body but advanced practices allow for targeting of specific areas of the energetic matrix. Jing Gong is an umbrella term for the various standing postures we use within the Lotus Nei Gong school. These static training methods are different from what many people would know as Zhan Zhuang as they are designed to awaken various parts of a person’s energy body. This type of work forms a large part of our practice and students will encounter Jing Gong from the first day within our school. Different Jing Gong methods are utilised at different stages in a students development. The Ji Ben Qi Gong are eight simple moving exercises which are primarily designed to teach a person how to move their body in the correct way. They are designed to help a person restructure their form and sink their Qi through relaxation in order to refashion the body for more advanced internal practices. Each exercise is based around unification of the body, breath and awareness in order to circulate Qi through key internal pathways within the body. The five Wu Xing Qi Gong exercises are simple movements designed to help a person contact the five elemental pulses. These pulses dictate the base health of the five key organs of the body, the Kidneys, the Liver, the Heart, the Spleen and the Lungs. As a person develops their Wu Xing Qi Gong practice they help to nourish these organs. The medical benefits of such a practice are obvious but what is also important is that these pulses dictate the quality of the Qi which flows throughout the rest of the energy body as well. The five Wu Dao Yin exercises are moving forms of energetic purging. Each exercise is designed to target and open up key energetic centres within the body. As these centres are pulled open they generate enough space within the energy body to help clear stagnant Qi. The movements are then combined with focused awareness and specific breathing methods in order to lead the body towards a state of better health. 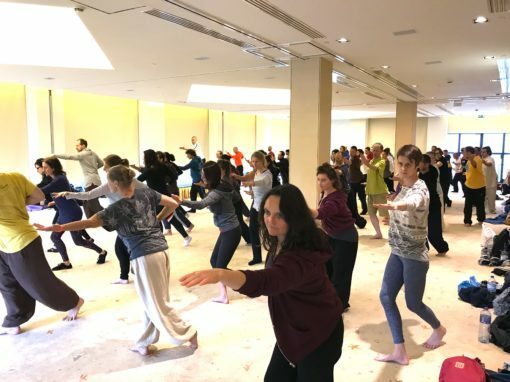 The exercises are also used within Nei Gong to help clear emotional traumas which have often become trapped within the Jing Jin and meridians of the body. The four Dragon Dao Yin exercises are a set of short forms which specifically target the spine and associated channels. Through various stretching, twisting and undulating movements, the spinal column is squeezed and stretched in such a manner that it helps to purge pathogens from its length. This helps to generate space within the soft tissues of the body as well as opening up the core congenital networks which run through the torso. The more space that is created, the higher the level of internal energy which the body may conduct along its length. As an added benefit, many students have noticed the strong healing effects of the Dragon Dao Yin exercises upon the spine and other joints of the body. 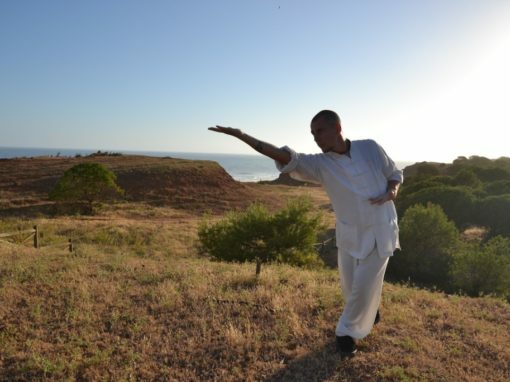 The Hunyuan Qi Gong exercises are designed to lead a practitioner deeper into their energetic system. They work at developing a higher state of release than most other exercise sets. This skill is of paramount importance if a student is going to move beyond the surface level of their practice. 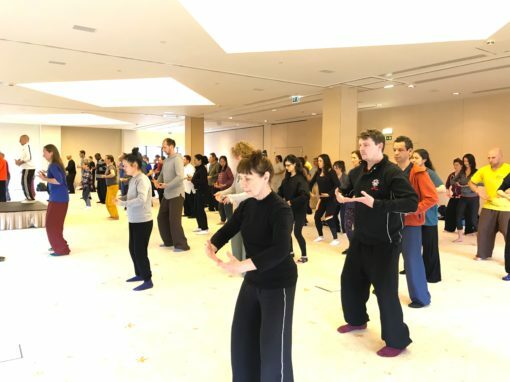 As the Hunyuan exercises develop they help a practitioner to contact the deeper, congenital pathways of the meridian system. These are the channels through which flow the congenital essences which are used extensively in alchemical training. The Lotus Moon Qi Gong are actually a category of exercises rather than a specific set. This is the umbrella title for women’s Nei Gong exercises which we use within the school. Though women largely use the same tools and go through the same process as men, there are some subtle differences in the nature of their energetic makeup and these exercises are designed for women to take advantage of their gender-specific strengths. They largely revolve around unification with the energy of the moon, balancing the energy of the Uterus and understanding the reverse cycle for women. There are also practices from the Buddhist tradition for invigorating the energy of the Heart. Within Lotus Nei Gong we don’t really see Zhan Zhuang as a basic-level exercise. Those who work with Zhan Zhuang without first building a foundation of relaxation and energetic flow more often than not end up being very tense. Tension leads to stagnation and so this can be very detrimental to a person’s internal development. Zhan Zhuang is a dynamic process of reorganising the soft tissues of the body in order to develop enhanced structural integrity, internal conductivity and Qi flow. The second stage of Nei Gong training within our school generally involves a lot of Zhan Zhuang practice. 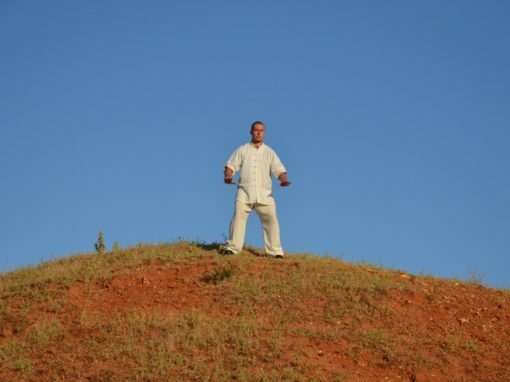 The Ba Xian Dao Yin are unusual as they utilise the principles of Dao Yin but they are primarily static exercises. These eight exercises are aimed at building up energy within the eight key channels of the congenital energy system. Based upon the legend of the Ba Xian and encompassing the theory of the eight Gua they are a very esoteric aspect of the school’s syllabus. 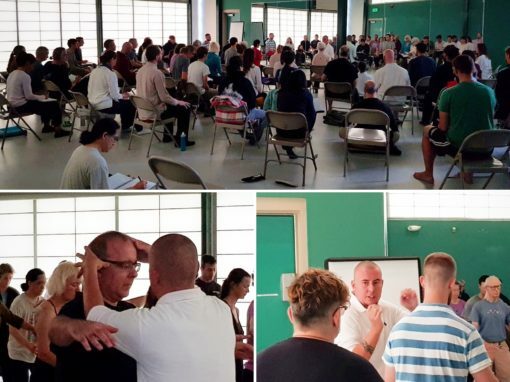 Generally only very experienced students study the Ba Xian Dao Yin. Utilising both vibratory syllables and full Mantra-style chanting, Lotus Nei Gong uses various sound exercises to help awaken various energetic areas of the body. At the most basic level these sounds are used to generate internal vibrations whilst at their more advanced levels, sound practices can lead a practitioner into various altered stages of consciousness. These exercises are generally practiced along with specific hand positions (Mudras) and standing postures or else trained in a seated position. It is important when joining any school that you understand its philosophy or ethos. If you attend a course run by a school whose ethos you are not in alignment with you will find that you have wasted your time. Classical internal training can be presented in many different ways which are largely down to the belief system of the teacher and their teachers before them. Please read this before attending any of our events to ensure that we are a school which you may draw benefit from. If these philosophies are not in alignment with your own then you would be best suited to training elsewhere. 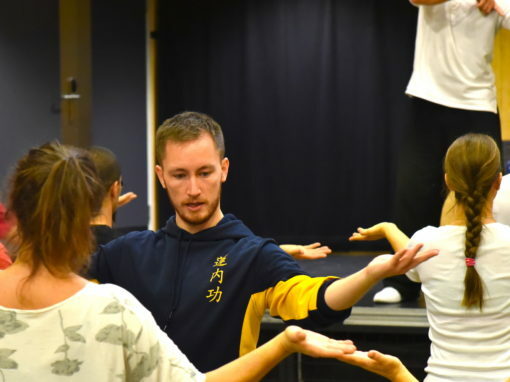 Lotus Nei Gong is a classical school of the internal arts which is based around the arts of Taijiquan, Xingyiquan, Baguazhang, Qi Gong, Nei Gong and Nei Dan. Though we teach these arts in the modern world we attempt to teach in a classical manner. This means that there is a heavy focus upon basic skills and drills rather than simply learning countless forms and sequences. There is also a heavy focus upon the principles which underpin the arts in order to ensure that the arts are close to their original theoretical sources. Though we teach the martial arts, our prime focus is personal development. We are more interested in guiding a student through a process of inner growth than we are in producing trained killers. Lotus Nei Gong does not get involved in the sports world and as such we will never train our students for competitions or any of the arts under competition rules. To be honest none of us would even know what the competition rules were! Our combative training is based around self defence rather than competitive fighting. If people want to use the martial arts to compete, that is fine, but it is not the aim of any of the teachings within this school. We approach the arts in as round and complete a manner as possible. This means that partner training is as large a part of the practice as inner work, movement principles and philosophy. Only those wishing to embrace all aspects of the practice should attend. Of course, this mainly applies to martial arts training with us. 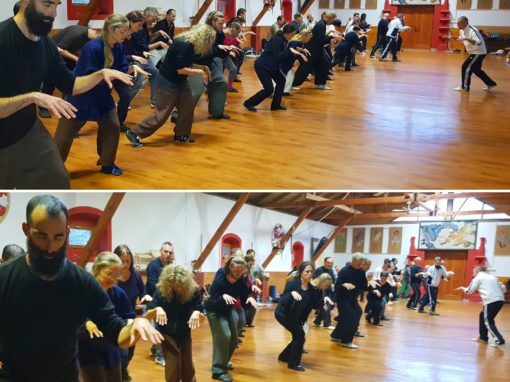 Those engaging in Qi Gong, Nei Gong or Nei Dan will not be asked to train in the combative arts! However, those studying martial arts with us will have to study Qi Gong and transformative philosophy as well. We are an esoteric school in that we do not believe that modern science has the answers for everything that takes place within the internal arts. Lotus Nei Gong believes that it is slightly patronising to view the ancient beliefs of the people who created these arts through the lens of pure modern thinking. To see the people of the past as primitives who knew little is a mistake and so the more internal and esoteric aspects of the training are engaged in as well as physical training. Those who are 100% against anything which may be deemed a little ‘strange’ are most likely better off training with another school. 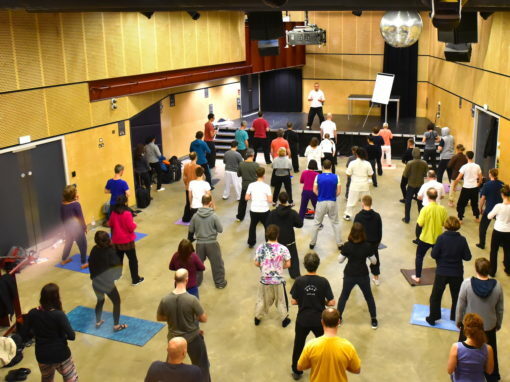 Though we train in practical self defence within our martial arts classes we always put an emphasis first upon the health maintenance aspects of the arts. The reason for this is that probably very few of you reading this are going to be killed in unarmed combat whereas a large proportion of you may at one stage run the risk of dying from a weakness in your health. It is simply a case of training to look after yourself in the wisest possible way. If you are one of those few people who live in such a rough area that you could die at any moment from a violent act; move as quickly as you can to another town! Life is too short to live in constant fear for your safety. Though we train in a very dedicated way in this school, we also have fun. Lotus Nei Gong courses tend to take place to the sound of a lot of laughter. If you are a very serious person who is deeply offended by the sound of mirth, please train elsewhere. At the same time, please respect all others in the school. There will be no prejudice against anybody for whatever reason whilst training within Lotus Nei Gong. This is our school ethos but of course individual teachers who are trained under us may have their own philosophy. It is safe to assume that this all applies to the senior teaching team within Lotus Nei Gong though…. 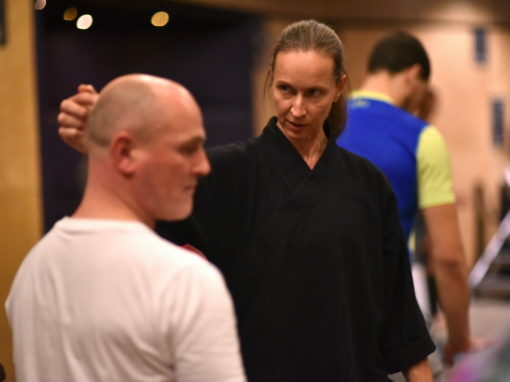 Please be aware that if you are hoping to train with Lotus Nei Gong you should be aware of what you are letting yourself in for! 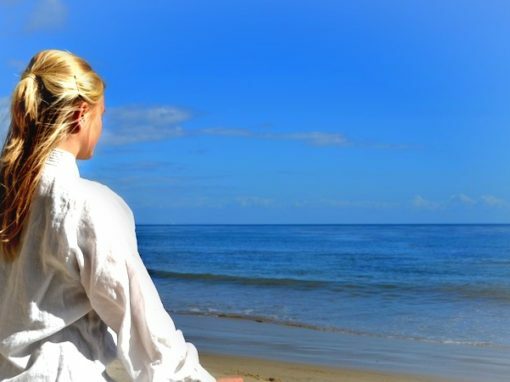 We are not specifically a medical Qi Gong school and are really not the kind of school where you would go for some gentle rest and relaxation. Instead we teach and practice classical-style arts which can demanding in many ways. “My advice to anyone undertaking such a study as Nei Gong is to have a honest look at what outcomes are we after. Stress reduction or transformation? If you are already a practitioner and know that you are looking to go deeper, want an honest, open and kind environment to do it in, with a focus on body/energy techniques (effectively a tantric approach) then the Nei Gong process may suit you, It’s not for the faint of heart, it is often confronting, difficult and uncomfortable. Pain (physical, emotional, mental) is going to be part of any transformative practice, its an indication of tension/conflict which, when dispersed correctly, is part of the healing process. In other words don’t go and learn flower arranging when our ultimate goal is to understand the complexity of the soil. If you are after techniques to apply to a stressful period of life, to calm down a little, to improve the quality of the muscle in your bottom, or a new hobby/holiday, then there are many other far more efficient teachers and courses for such things. 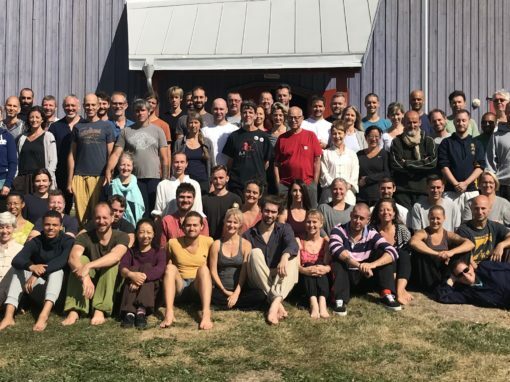 If, on the other hand, you are looking for truth, for an uncompromising approach to your inner life, to having a continued and active practice, looking to find a teacher or a course that takes you to your personal edge within an atmosphere of compassionate commitment to truth, then this may be the school for you. For it is only at your edge that you can transform. Our training is rewarding, transformative and great fun but really only for those who are adventurous of spirit and prepared to text themselves. Our school is full of very dedicated practitioners who put a lot of energy into their training. We feel we should let new students know this because we have had problems in the past with students coming who were used to the usual ‘overly gentle’ approach to the internal arts which you can find elsewhere. We are not really a medical school, you should not come here looking for help with physical ailments. Instead it is better to come to us with a good foundation of health and the mindset of wishing to engage with a deep and classical process. Our courses are always oversubscribed so we would like to make sure we have the right students applying to train with us. Oh yes, don’t forget that a sense of humour is a mandatory requirement too! If you feel that the description of the training is off-putting, or you may be pregnant or you are under 18 then please do not apply for our training as it will not be right for you.